In Holland we celebrate King's Day next week. 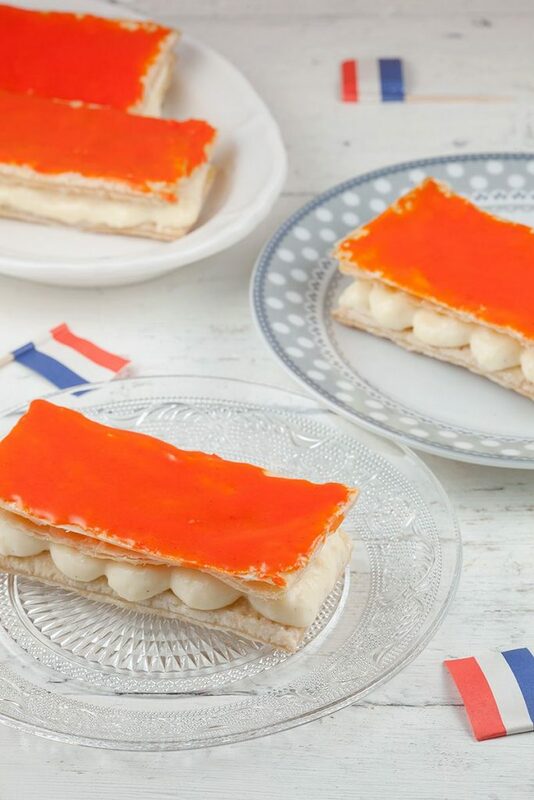 So that's why we made a lovely Dutch King's day tompouce. Filled with custard, mm! Start with the recipe for custard, you can also use store-bought thick custard if you prefer. PRE-HEAT the oven to 180 degrees Celsius or 350 degrees Fahrenheit. DIVIDE the square puff pastry sheets in halves, so you’ll end up with rectangles. 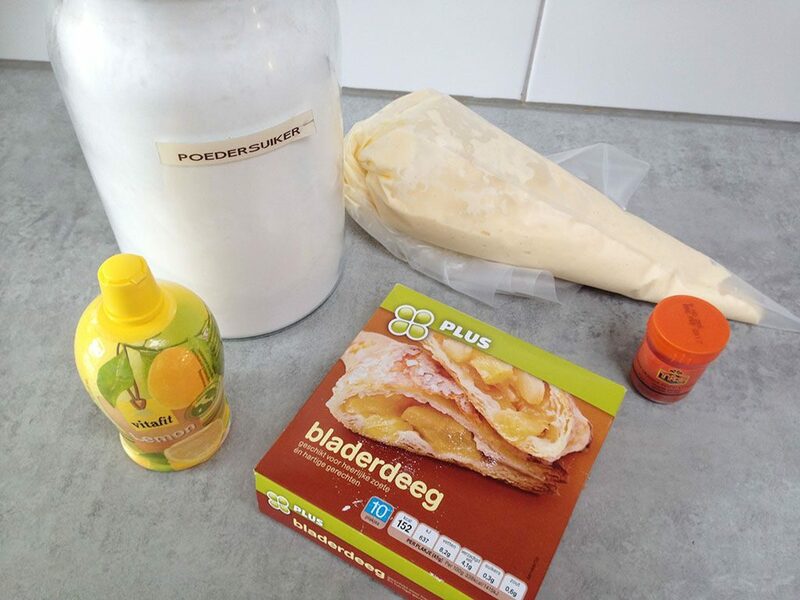 Use a fork to create holes in the puff pastry, this will make sure the dough won’t puff up too much. PLACE them on the oven tray and bake them for about 10 minutes. REMOVE them from the oven and use a clean kitchen towel to press the air out of the dough. Then BAKE them again for another 5 minutes, or until they’re beautiful golden brown. Let them cool off completely. Making the glaze is easy, just COMBINE water, lemon juice, food coloring and powdered sugar. 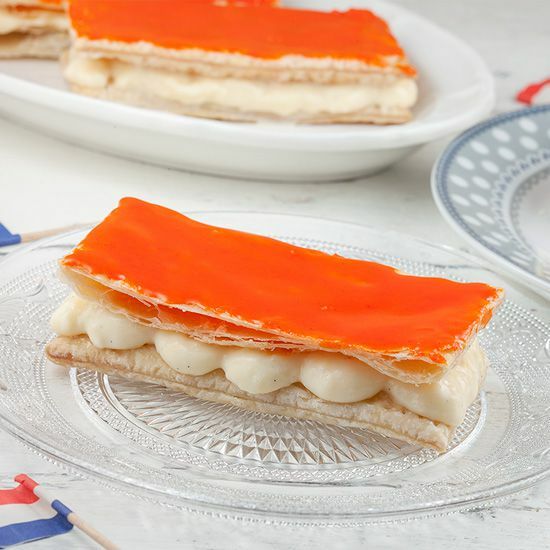 DIVIDE the custard over 4 puff pastry rectangles. DIP the other 4 rectangles in the glaze, you can also use a spoon for this. 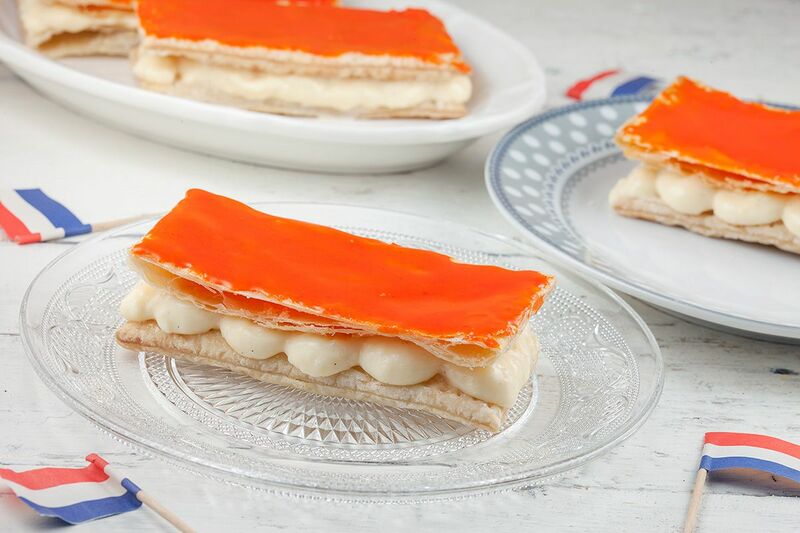 PLACE the orange rectangles on top of the custard and let the glaze harden a bit. Enjoy!